Well, things get better and better for the Mid Cheshire Camera Club. 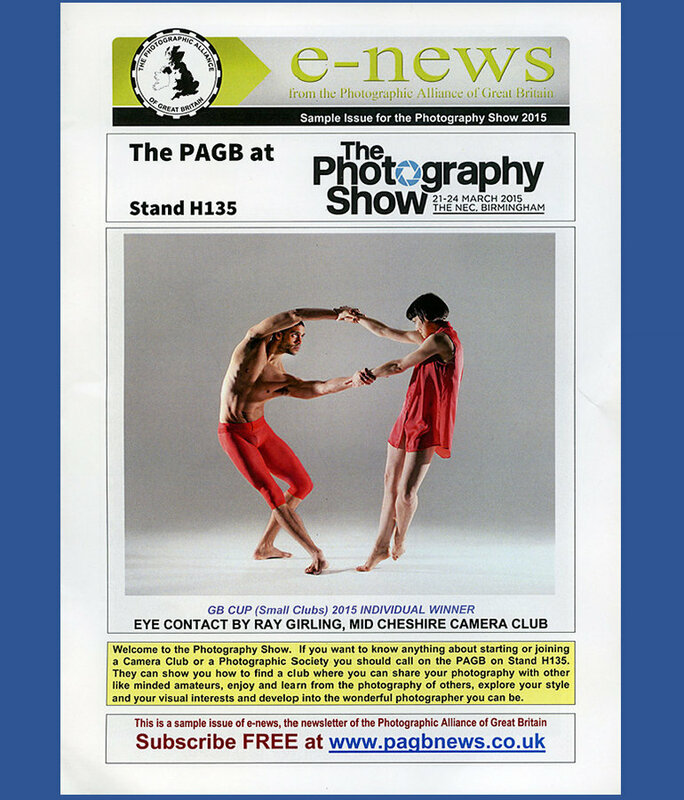 After its recent success in a national club competition Chairman, Ray Hill and other club members, discover that Ray Girling's award winning image “Eye Contact” took pride of place on the front of the PAGB (Photographic Alliance of GB) brochure at the Photography Show, at the NEC, the UK’s largest photographic show of the year. Ray Girling, a committed member of the MCCC, has been part of the driving force behind promoting the club and entering it in competitions at a local and national level.